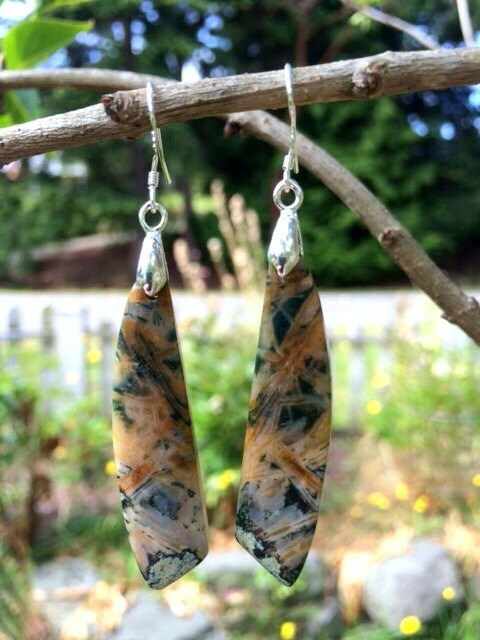 These beautiful bamboo agate earrings have the most interesting markings! 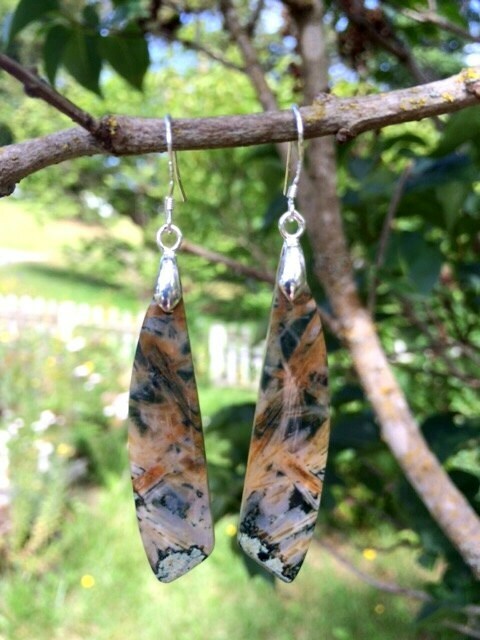 It has shades of browns and greens with criss crossing patterns and patches of spotches. 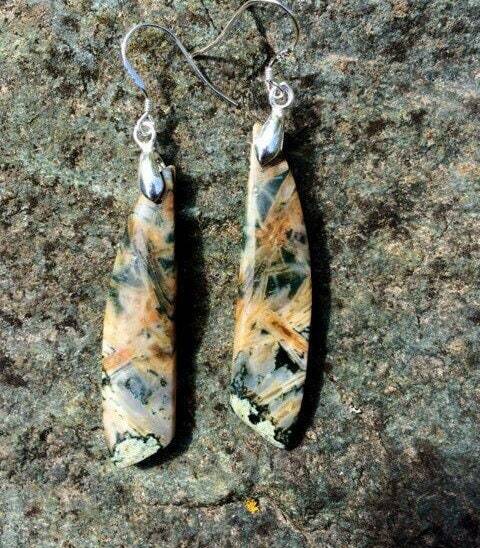 The earrings are 2 1/4" long.